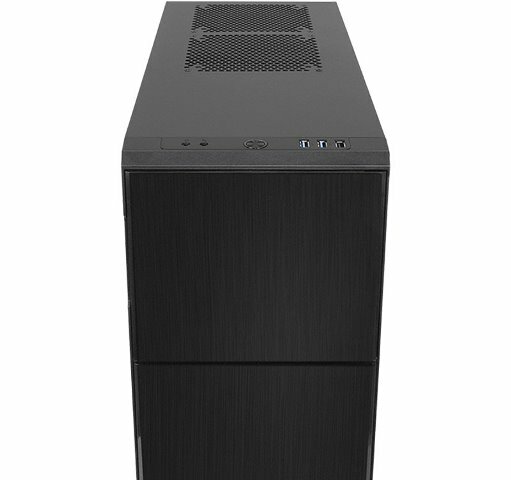 Nanoxia, a German company, has recently released its latest classic mid tower Silent PC case – the Nanoxia Deep Silence 3. The Deep Silence 3 is soundproof thanks to its integrated sound dampening system and focused design. It’s basically geared towards users who don’t need the features of the Deep Silence 1 or Deep Silence 2. The Deep Silence 3 fills the gap in Nanoxia’s Deep Silence series. Check out more of its features and specifications below. 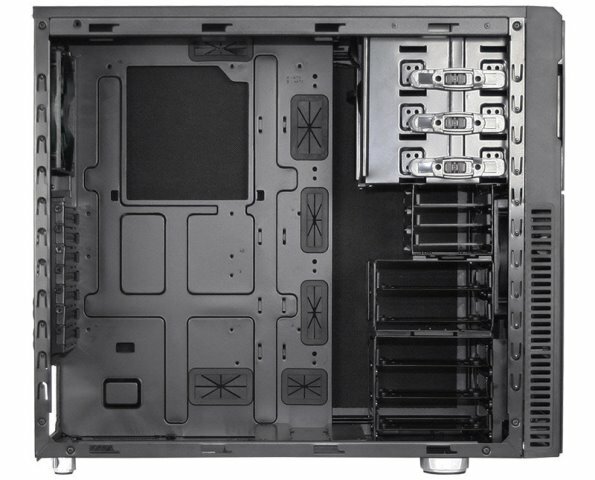 The Nanoxia Deep Silence 3 is designed for ATX, Micro-ATX or Mini-ITX motherboards. 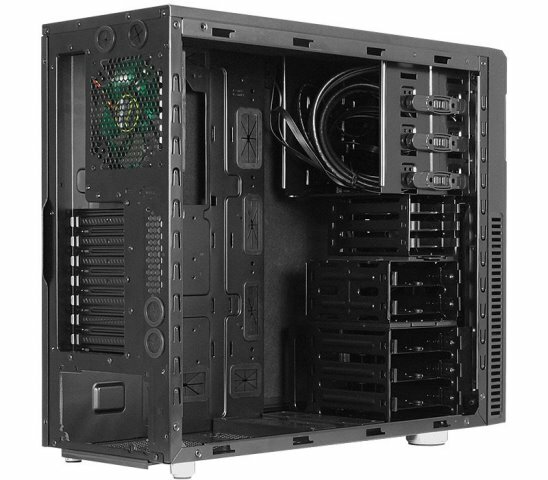 Decoupled mounting of the 3.5 inch hard disks and the PSU, anti-vibration case feet, tool free mounting of the optical drives and a step-less 2-channel fan control are included. And of course the Deep Silence 3 offers the exquisite looks and timeless elegance that users have come to expect from a Deep Silence case. The Deep Silence 3 offers three HDD-cages for a total of 8 hard disks. The uppermost module is a dedicated 2.5 inch drive cage that can hold up to three 2.5 inch drives. The middle cage for two 3.5 inch HDD is modular; it can be removed or mounted on the secondary cage holder in order to allow the installation of longer VGA-cards or better air flow in the case. Finally, the lower cage can be equipped with a total of three 3.5 inch drives. The modular concept of the Nanoxia Deep Silence 3 allows the installation of VGA cards of up to 430 mm in length. If all HDD cages are installed, users can install cards up to 345 mm long. 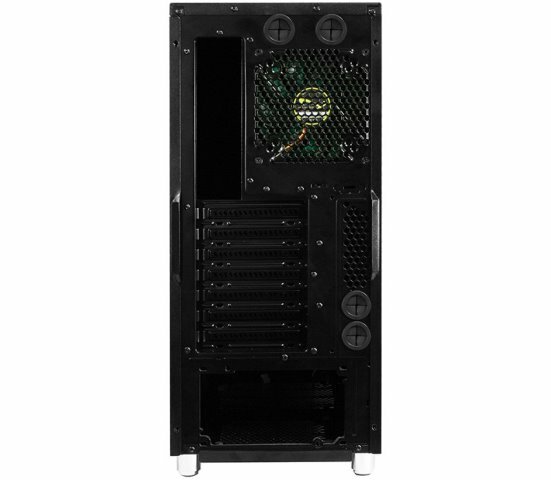 The case can be equipped with high-end CPU coolers with a maximum height of 165 mm. 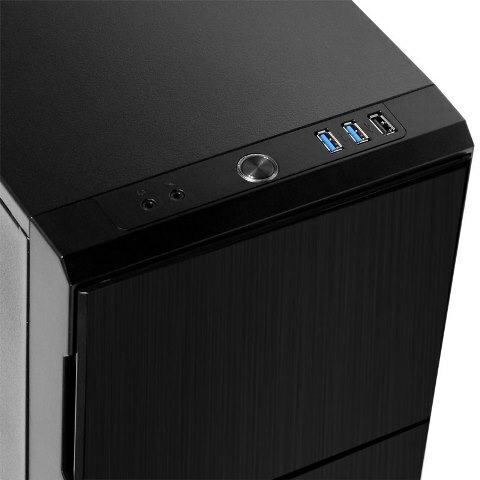 The I/O-panel at the front of the top cover offers 2 x USB 3.0, 1 x USB 2.0 as well as HD-audio ports. The cooling system is designed for low system temperatures as well as the best possible cooling capacity. The Deep Silence 3 has an integrated ventilation system consisting of three 120 mm Deep Silence fans and a built-in 2-channel fan controller. Two 120 mm fans are installed behind the front; the third fan is located at the rear. 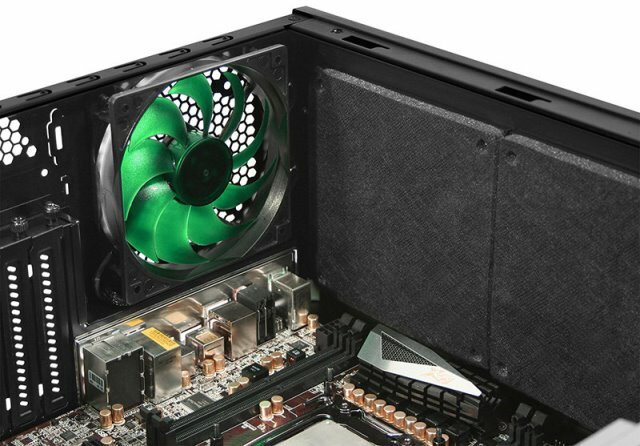 Additional fans can be installed under the top, where Nanoxia VentCover close two 120/140 mm fan holes. 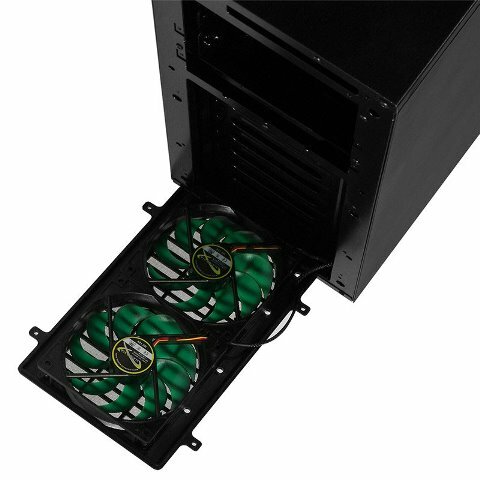 Finally, one 120 or 140 mm fan can be mounted at the bottom, when the secondary HDD-cage holder is removed. 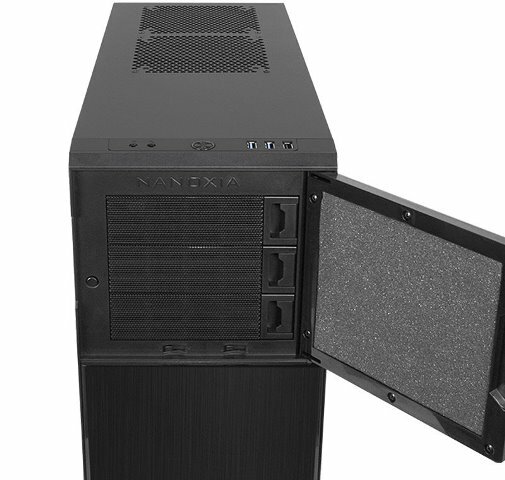 The Nanoxia Deep Silence 3 mid tower case is expected to become available starting in Europe by the end of July 2014. As of today, its manufacturer’s suggested retail price is not yet disclosed. I’ll update this post once more information regarding its price and availability becomes available.